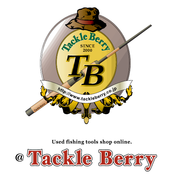 TackleBerry we are No.1 Biggest fishing tools shop in Japan. Developed 213 stores worldwide. Welcome to we shop and meet of fishing and golf items, both new and second-hand. Imported directly from Japan and we have a hitting cage for golfers who want to experiment. Important for customers who have fishing items or golf items that are not used or want to sell. We are happy to buy as well.